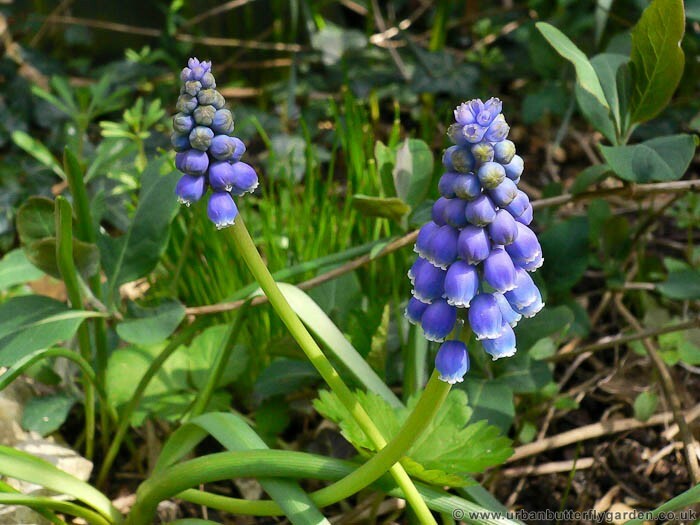 The Grape Hyacinth is a popular blue spring flowering bulb, often seen in gardens from early April – May, where if established and undisturbed, may grow to form a deep scented mass of blooms, under trees and in borders or lawns. 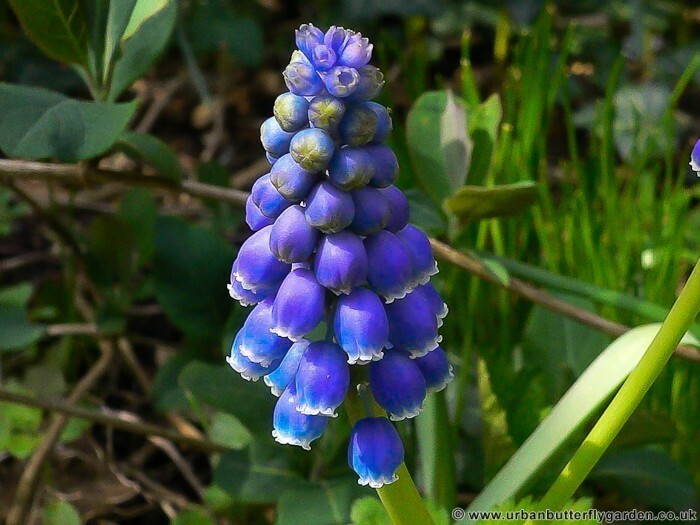 Muscari is the genus of the Grape Hyacinth which is mostly blue in colour and originates from Turkey, it was first recorded in Britain around 1776, and given the name M. neglectum, although despite this alien origin to Britain it is sometimes referred to as a native species. There are around 30 species in all, and a small number of cultivated varieties, colours include Blue, Purple and White. 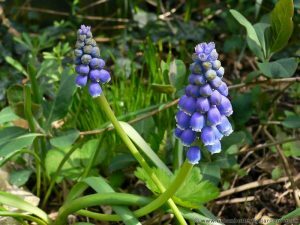 The flower-heads of the Grape Hyacinth, do look like small upturned bunches of grapes, in fact they are made up of dense clusters of small often bright blue flowers each with a light blue or white lip. The leaves are dark green and emerge from the base of the plant, they are long and narrow and similar in length to the flower and stem 15 – 20cm long. Grape Hyacinth bulbs are best planted in a sunny position, and will thrive in any well drained soil. Place the bulbs 10-15cm apart and 7cm deep, in groups of 10 or more once in the ground they will spread rapidly if left undisturbed and require very little maintenance to bloom year after year. It can be planted in many sunny locations including under deciduous trees and shrubs and in containers. Nectar plant: Bees, Small Tortoiseshell butterfly (Aglais urticae).